Helen Oyeyemi writes modern books that take fairy tales as their starting point, but then go off in entirely their own direction. This one has a bit of the Gingerbread Man (“can’t catch me, I’m the gingerbread man!”) and Hansel and Gretel. The character who is literally named Gretel is supposed to be The Gingerbread Man. It’s also full of magic: there’s a magical land and talking dolls, but also social media, FaceTime, over involved PTAs, and modern London. The actual gist of the story is: Harriet and her daughter Perdita live in London. They’re basically outcasts from their worlds, and people find it hard to remember them. It’s unclear how much they actually want to fit in. Perdita goes off on her own one day, and comes back in a coma. That’s the first third of the book. The second third of the book is Perdita waking up and Harriet describing her own life back in the magical land that she comes from and how she escaped and came to London to Perdita and the talking dolls. The last third is all of the fallout from that. There’s a lot going on in this book. Maybe too much. 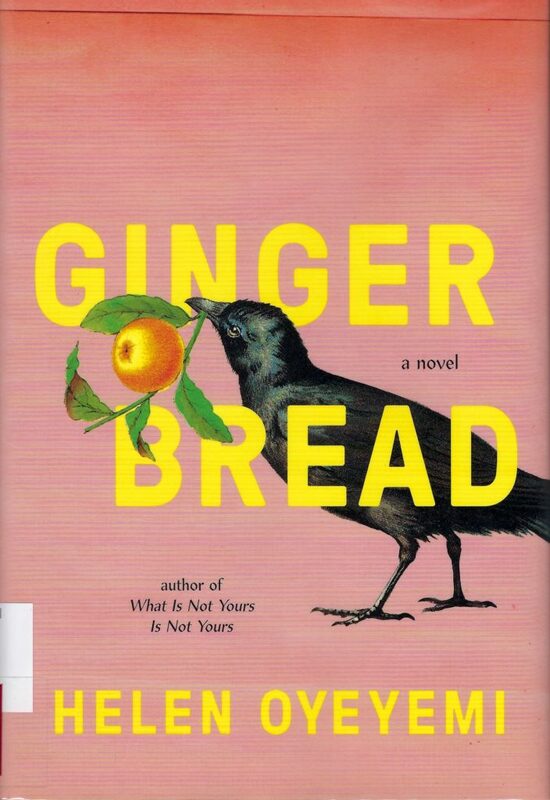 I enjoyed Boy, Snow, Bird enough to keep going on Gingerbread when it started dragging a bit about 75% of the way through, but I’m not sure I would read this as my first Helen Oyeyemi novel.